At one time gas wall ovens were much more popular than electric wall ovens. The 24 inch gas wall oven was a staple. Kitchens and cabinets have enlarged over the years. 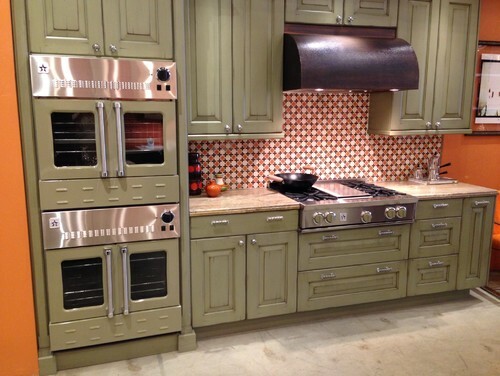 Most current manufacturers now produce only electric wall ovens. What once was a kitchen staple is now almost extinct. I wondered myself what products were left. Now you and I will know. Why would you want to consider a gas wall oven over an electric? The single biggest advantage a gas oven has over an electric is that beloved moist air (beloved by some). The advantage of moist air is that your food will not dry out as much compared to an electric oven at the same temperature. Cooking with moisture is ideal for vegetables, roasting a tender, juicy pot roast, and baking casseroles and quiches. On the other hand, moist air is at a disadvantage when you are trying to bake pizza, dehydrate vegetables or bake a sponge cake. It is important to decide what you like to cook before choosing your oven fuel type. Of course, there are many other pros and cons when comparing gas ovens to electric, which I will cover in-depth in a separate post. In this article, we'll go over the best gas wall oven contenders: BlueStar, American Range, GE and then compare at the end. 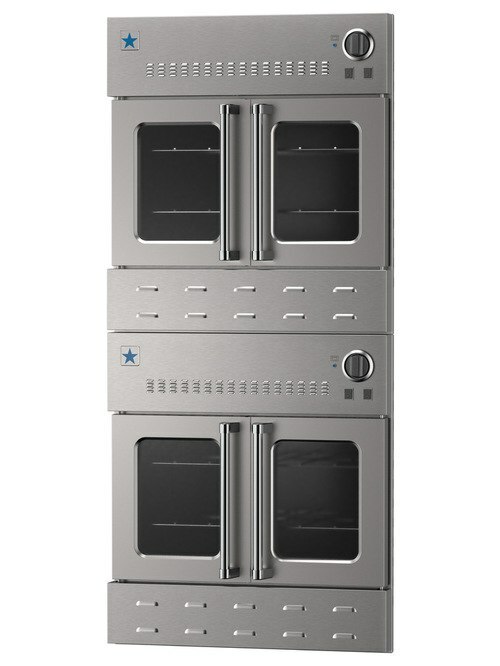 BlueStar is an unrivaled competitor in the gas wall oven market. BlueStar is a U.S based company that prides itself on long standing American heritage and bringing home professional chef quality results at home. Founded in 1880 in Reading, Pennsylvania, the company handcrafts their products in the same location to this day. 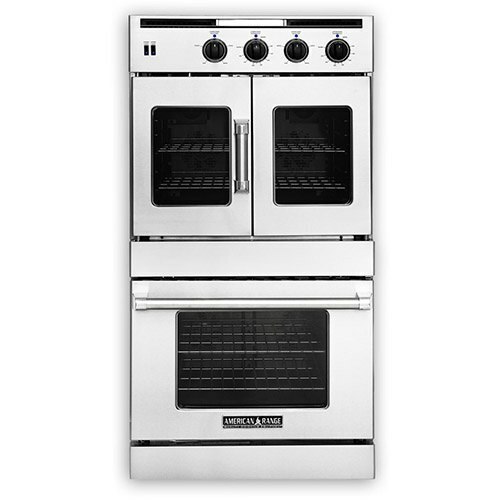 The 30” BlueStar gas wall oven series features French doors and is available in either a single or double oven configuration. The oven has 1,850° degree infrared broiler for all of your searing needs and true European convection. Even better, these ovens are able to accommodate a full size 18” x 26” commercial baking sheet. BlueStar is the only gas product with pure convection blown from the rear for the most even heat. American Range is a company with a strong family heritage and innovations that were born out of necessity. Founded overseas during WWII, the company's lineage began with the creation of diesel powered space heaters. Upon immigrating to the United States, American Range as we know it today was born.  The company began designing and manufacturing commercial cooking equipment. Today, American Range continues its legacy in not only the commercial market but has introduced a residential line as well. Here is where American Range truly separates itself from the rest. Not only are the 30” wall ovens available in single French Door or Chef Door but they also manufacture hybrid double wall oven units that you can intermix French Door and Chef Door, but have a dual fuel unit with a gas oven on top and an electric oven on the bottom. Similar to Bluestar, the American Range products are available in many custom colors to suit your needs. While exterior color choice is exciting, the power of the unit is also impressive. 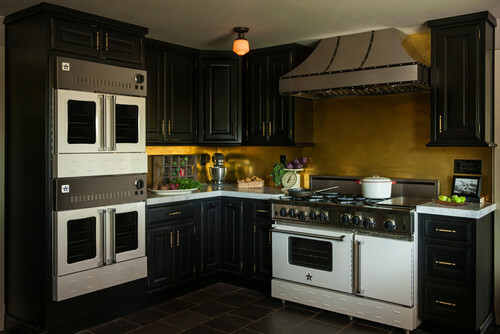 Their Legacy gas wall ovens feature an 18,000 BTU stainless steel infrared broiler. The main burner tops out at a 30,000 BTU's. The final contender, General Electric Company. GE began marketing its electric oven, or cooking device as it was known at the time, in the early 1900's. GE is made in America but has recently been purchased by Haier of China. 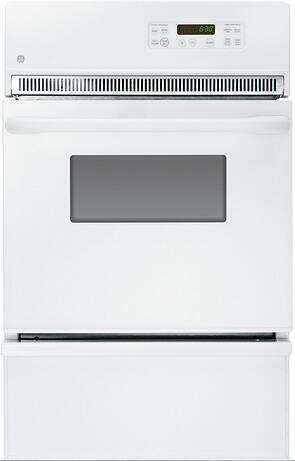 It is important to note that the GE gas wall ovens are only available in a 24” size. The smaller size also brings limited power. The broiler is rated at 13,000 BTU's and the main burner at a cool 14,500 BTU's. The controls on the GE are electronic, unlike the knob controls of its competitors. While the controls are by no means sophisticated, they do offer a Sabbath mode, self-cleaning, temperature display, and timers. 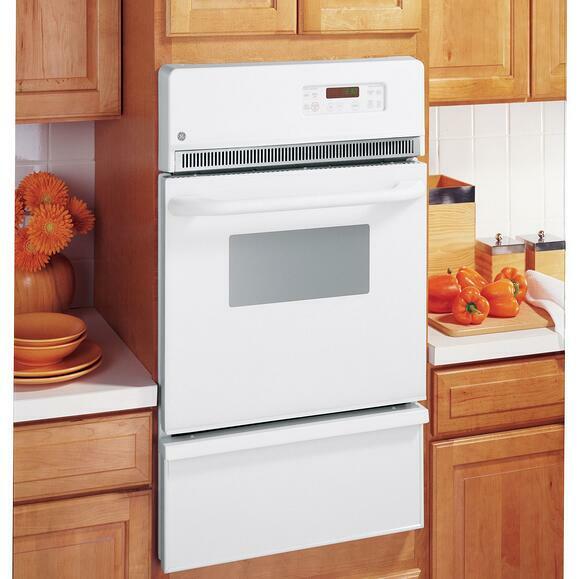 GE is the only 24 inch self cleaning wall oven. If you are in the market for a gas wall oven, it is important to understand your intentions and what you are hoping to get from this fuel choice. The gas wall oven is a dying breed as steam has been introduced to electric wall ovens to achieve that beloved moist heat for some cooking applications. While your options are very limited in the non-professional market for a gas wall oven, brands like American Range and Bluestar make excellent options. Of the two, the pure convection and better build quality gives BlueStar the edge as the best gas wall oven. Want to learn more about the latest Wall Ovens? 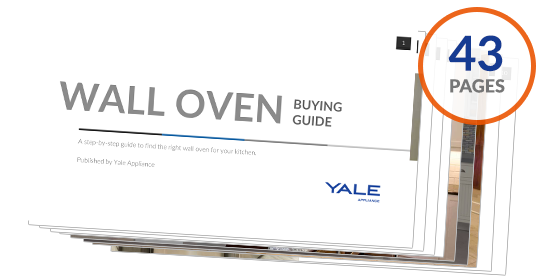 Get the Yale Wall Oven Buying Guide with features, specs and inside tips to all the brands like Miele, Wolf, Thermador, Viking, GE Monogram, Jenn-Air, KitchenAid and more. Well over 165,000 people have read a Yale Guide.